A big part of any proper holiday is taking time out to enjoy what your chosen destination has to offer, and that’s never more true of the food of the drink on offer in somewhere like France. If you’re heading to one of our luxury villas and chateaux in the Dordogne, we’ve found some of the most mouth-watering foodie experiences in Dordogne for you to enjoy – and let’s face it, it doesn’t get much more delicious than the unforgettable gastronomy of France! One of those rare restaurant finds where the quality of the food belies the prices, Nicolas L is a solid choice for families. The Nicolas L of the restaurant’s name is Nicolas Lamstaes, a chef who learnt his trade under the granddaddy of haute French gastronomy, Alain Ducasse. This education is evidenced in supremely prepared, elegant cooking that includes dishes such as caramelised veal sweetbreads with truffle pasta and foie gras emulsion, and fried scallops with caviar butter risotto and Bayonne ham. 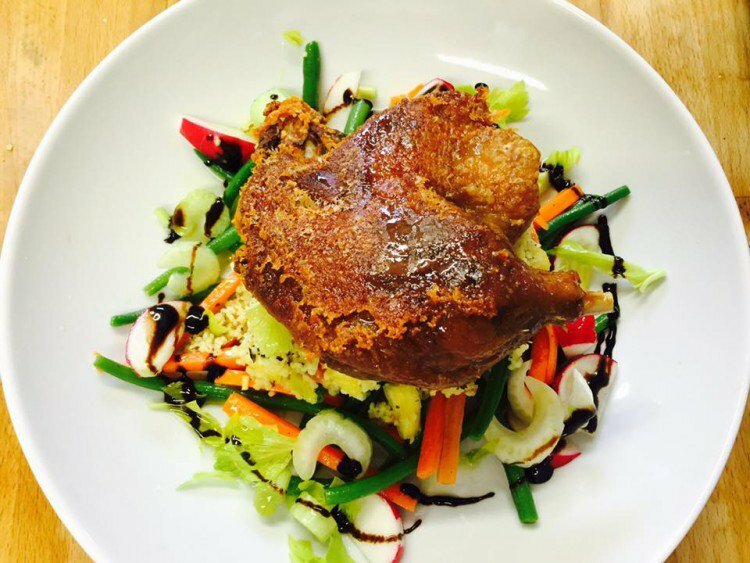 For developing palates not yet accustomed to the rich, buttery goodness of Dordogne cuisine, there is a children’s menu that ensures they won’t go hungry. After a few days of eating in Dordogne, you’re going to want to emulate the ways of the Périgord cooks. So line up a cooking lesson with Ian Fisk, chef and owner of Le Chèvrefeuille and CookDordogne Cookery School. The cookery experience begins with a chef-led market tour, where you can chat with local farmers and find out how to handpick the best seasonal produce. Then it’s on to the kitchen to start prepping a multi-course menu that will include the likes of confit du canard with seasonal vegetables, pomme dauphinoise and cabécou tartlet. 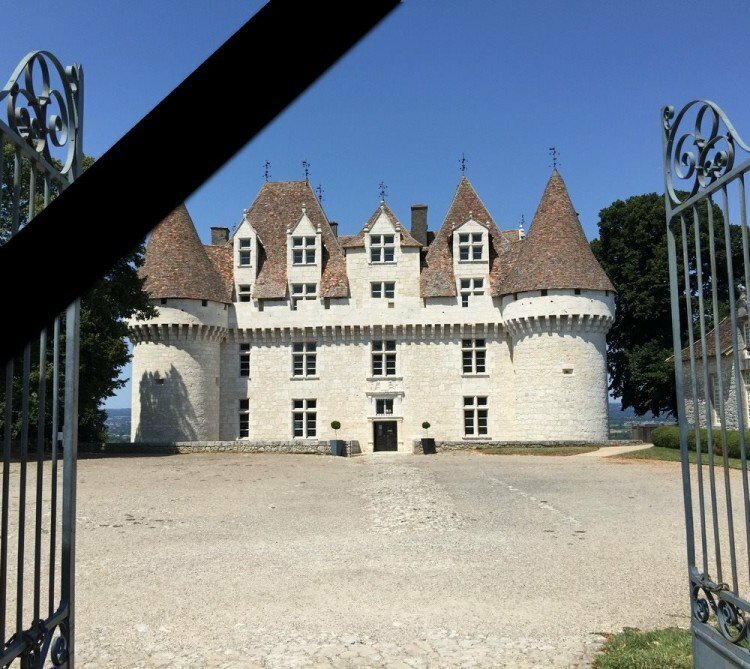 Attempting to navigate your way around the confusing names, appellations and sub-zones of Bergerac’s wine-growing area can be a head-scratching experience, as can finding a reliable source for each individual winery’s opening hours. Our advice? Don’t bother. 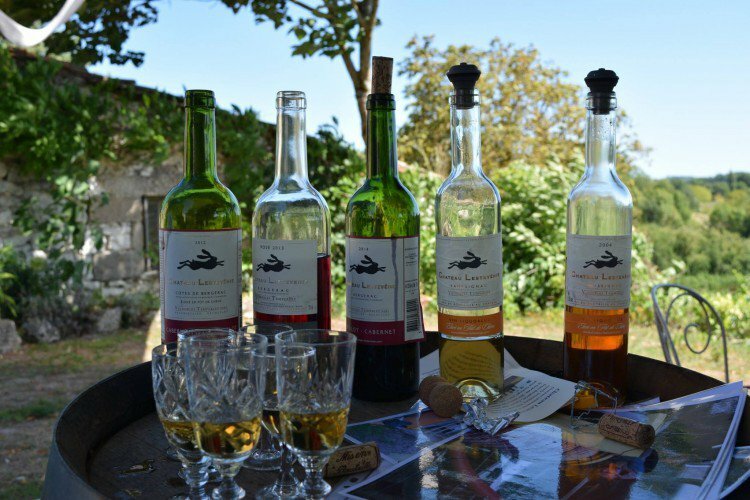 Let Bergerac Wine Tours do the hard work so you can enjoy a relaxed, no-rush wine tour, sampling some of the finest organic vintages in the region. After a morning pick-up from your villa, you’ll be taken to the first chateau for a vineyard tour, during which you’ll learn about the terroir and production of the wine as well as tasting it. An al fresco lunch will be followed by a farm visit, then you’ll stop at a co-op vineyard for yet another tour and tasting. If you’d like to tour the vineyards independently, be sure to put this one on your hit-list. Chateau Feely run an organic, biodynamic vineyard and produce exceptional terroir-driven wines. You may not have heard of them before, but fortune favours the brave and you didn’t come all the way to the Dordogne to drink the same old stuff you get at your local Tesco. If you’ve got time before you go, read up on the Feely backstory before heading off for a half or full-day wine tour on the estate, which will include a wine and food pairing lunch as well as an introduction to wine growing, winemaking and French wine. At some point during your trip, you’ll probably find yourself feeling ‘all ducked out’. When this moment arrives, give your stomach a rest from the prized poultry and head to this small Sarlat pasta bar instead. The pasta here is homemade and comes with a choice of at least a half-dozen sauces. There are usually a few meat-free options too – a godsend for vegetarians in search of a decent meal in this carnivorous land. Set in a renovated 19th-century barn tucked away in the hills of Dordogne, this intimate restaurant and inn is the kind of place you imagine no longer exists. They even have a paddock and stables for travellers who come on horseback and want to keep their steed here overnight. Menus are dreamed up daily based on whatever local products are currently in season. Groups of between 10 and 20 can consult with the chef to create their own personalized menu based on their budget and dietary preferences. Some guests come here to nose around the 16th-century castle, but most visitors come with something else entirely in mind: wine. 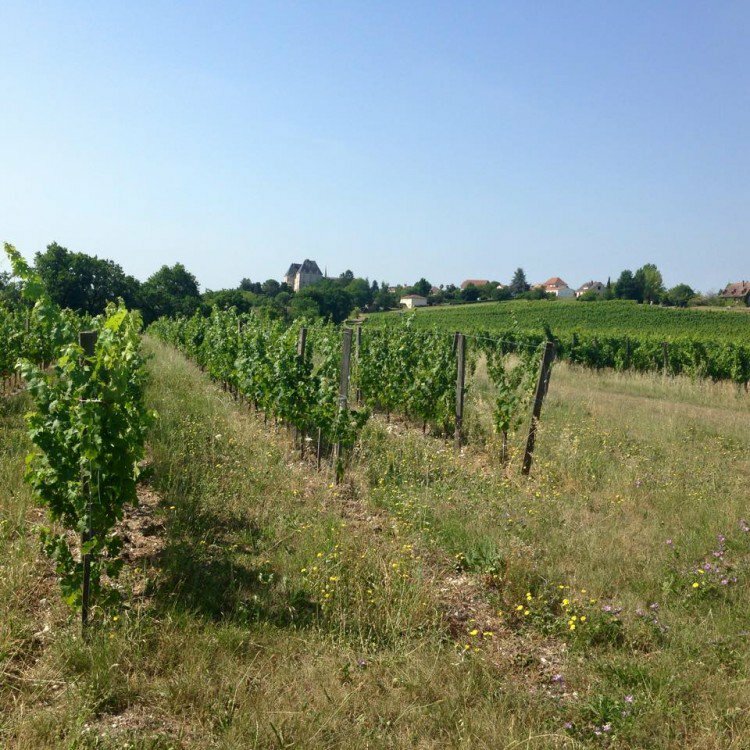 A cooperative based at the chateau produce some cracking sweet whites, all paragons of the lauded Monbazillac style, which is made by allowing noble rot to set in the vines before harvesting the mouldy grapes. It may not sound appetizing, but trust us, the resulting wine is really tasty. Inside the chateau, the cellars contain tools for vine-growing and panels documenting the history of the vines, and tastings are also available. A visit here makes a great introduction to the appellation. 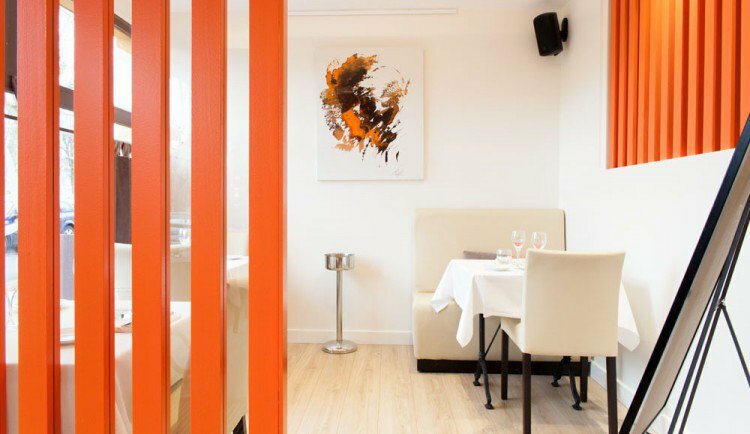 This compact Michelin-approved restaurant is a fantastic starting point for gourmands who want to sample first-rate French food and sensational wines. The prices are only a little higher than many other nearby eateries, but the quality of food is miles ahead. If you can nab a seat on the decked terrace out back, take it – it’s a lovely spot to tuck into the memorable, ingredient-led dishes, such as tête de veau (calf’s head) with pan-fried foie gras and squash emulsion. 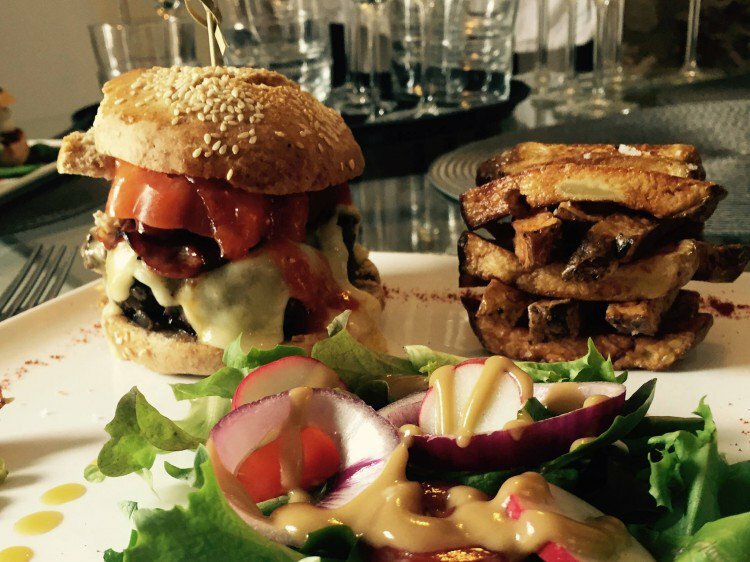 The elevated burger trend has spread like wildlife all across the globe, and even sleepy Dordogne hasn’t escaped its reach. The fast food staple has been treated to a gourmet update courtesy of MG Burger, which sits smack bang in the centre of Périgueux’s historic quarter. The emphasis at MG Burger is on quality produce and home cooking. Bread for the burger buns is kneaded and baked in-house daily, fresh vegetables are delivered every morning and local products, including foie gras and Rocamadour cheese, are peppered throughout the menu, adding an injection of French flavours to this American classic. Not all chocolates are created equal. Some (we won’t name names) are chalky and over-sweetened, others, like Bovetti, are velvety smooth and complex. Chocolatier Valter Bovetti is responsible for producing some out-there chocolate concoctions, characterised by their unusual sweet-savoury flavour combinations (dark chocolate with seaweed or dried tomato and chili, for instance). 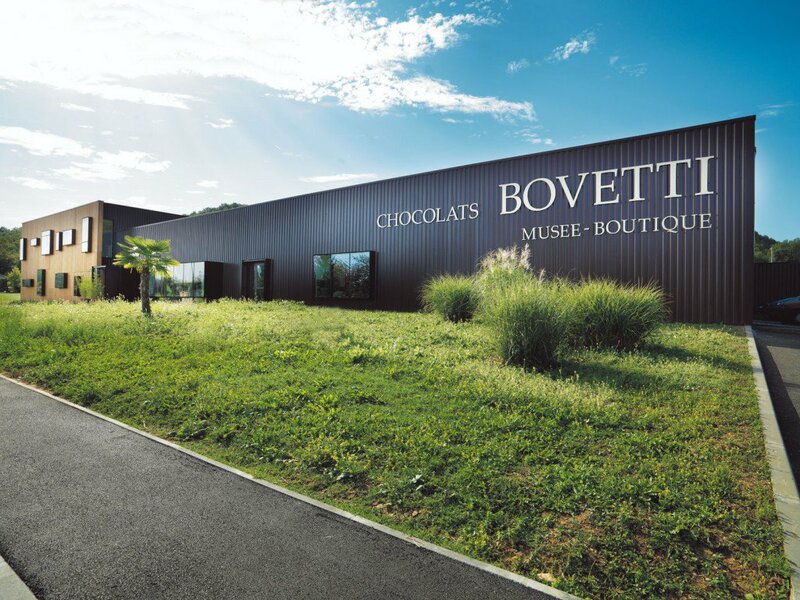 Visit the Bovetti chocolate museum in Terrasson-Lavilledieu and browse exhibits that trace the history of cocoa harvesting and the processes of chocolate production. Children can take part in a hands-on chocolate demo before tasting a sample or two or the mouth-watering treats. After finishing the factory tour, head to the Bovetti chocolate shop, where they sell artisan spreads, chocolate bars, cocoa drinking powder and more.